There are many reasons to use product videos in 2014, not the least of which is the possibility of significantly better conversion rates, sales, and profits. But just like any marketing or merchandising tactic, how an online seller implements product videos will most certainly impact how well those videos perform. Many separate studies have established that well-implemented product videos boost sales. Zappos, as an example, reported that videos improved product conversation rates by between 6 percent and 30 percent. Other, albeit smaller, retailers have reported that adding product videos more than double conversion rates. Unfortunately, not everyone that goes to the gym comes out looking like a bodybuilder or a supermodel. In the same way, adding product videos will not guarantee success. But when product videos are executed well, they can aid success. 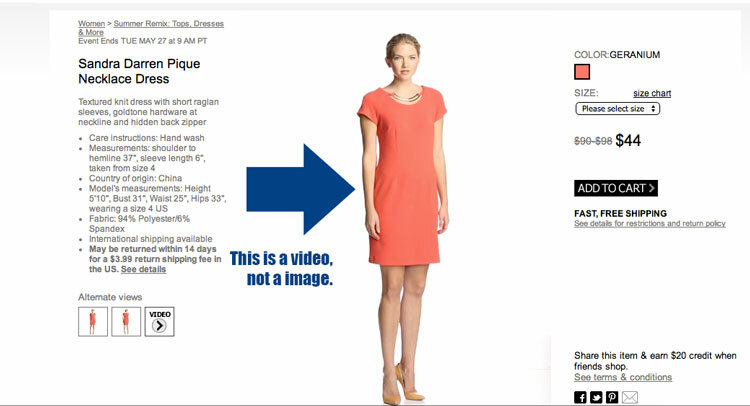 What followers are four tips for using product videos on your ecommerce site. 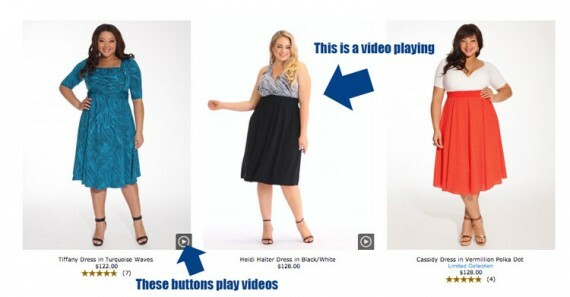 These examples come from several fashion and clothing sites that are using product videos very well. There is an ancient idiom that says no one would light a candle only to hide it under a basket. Rather, when someone lights a candle, they usually put it on a stand so that everyone can see the light. This saying is a great analogy for ecommerce product videos. If you’re going to all of the trouble and expense to make a product video, why would you “hide it” on product pages only. 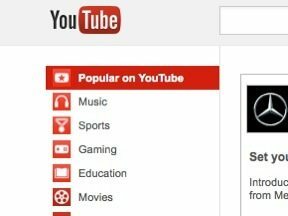 Rather, it is better to include product videos right on product category pages and site search result pages so that you can promote those conversion-boosting videos at the earliest possible moment. 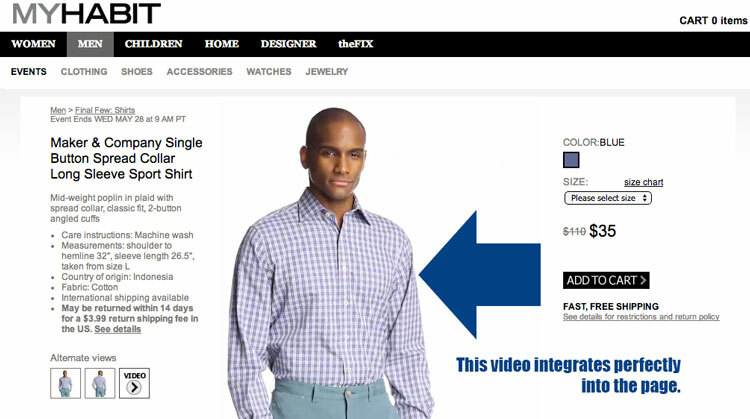 Igigi includes product videos inline on category pages. Plus-size fashion designer and retailer Igigi does an excellent job of promoting product videos on product category pages and on search results pages. The company places a small “play” icon in the lower right corner of each product image on product category and search results pages. This icon is very recognizable so that just about any online shopper would understand what it does. When a shopper starts a product video on one of Igigi’s category pages or search results pages, the video plays directly inline, in the same exact spot the product image occupied seconds before. 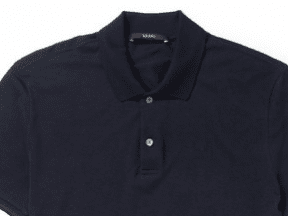 When the video is finished playing, the product images is restored. Product videos are in a sense product demonstrations intended to show shoppers how a product works, behaves, interacts, or fits. In the case of fashion product videos, this may mean showing the clothes on a model. If you visit a product page on the ASOS, another fashion site, you are likely to find a video that shows a model walking, turning, and generally giving viewers an idea of how an item moves. This video shows a model walking, turning, and generally giving viewers an idea of how an item moves. It is also important to demonstrate the product in a way that appeals to the target audience. Again, using the ASOS site as an example, it is interesting that it labels its product videos differently for women and men, and that the videos themselves show the product differently. There is also a distinction in video content. The ASOS “Runway” videos really come from a runway with a model walking it. The ASOS logo can be seen in the background. 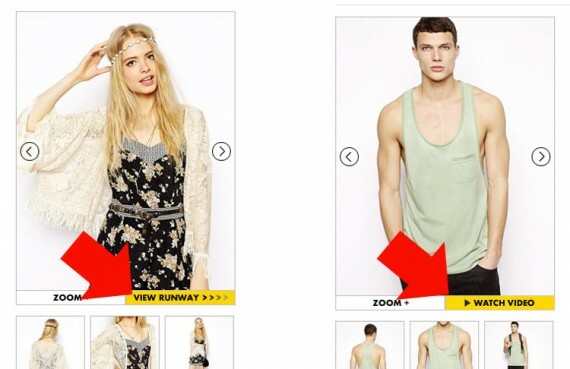 ASOS video content also differs based on audience — male versus female. The ASOS “Watch Video” product videos are shot with the model standing in place or turning about in a circle. Not every ASOS product video and not every ASOS product detail page was examined for this article, but again the distinction appears to be aimed at how a particular customer segment may like to think about video. Appealing directly to a customers preferences is good business. Perhaps the boldest suggestion in this article is the idea of prioritizing video over and above photography on product detail pages. Simply put, the aim is to have inline product videos load in the primary position rather than still product images in video-capable browsers. You can find an example of this in action on the MyHabit site, and remember MyHabit is an Amazon site, so you know that the company has tested and measured the impact of putting video first. When you open a MyHabit product detail page featuring a video, that video will begin playing immediately, and only after the video ends will a still image fill the space. MyHabit puts videos first on product detail pages. These videos play automatically when the page is loaded. Finally, good production quality is important. Not every product video requires a full-on video production team, but you also do not want to shoot these with your phone, in the dark. The aim here is to have good, professional-looking video that really puts the product in a good light both literally and figuratively. The sites mentioned in this article do a good job with their videos and have excellent production quality. Think about the MyHabit videos that integrate perfectly into the product detail pages. The product videos on the MyHabit site integrate perfectly into product detail pages. This integration speaks to their excellent production quality.